Vous semblez être localisé dans un pays où ce service de jeu en ligne n'est pas disponible. 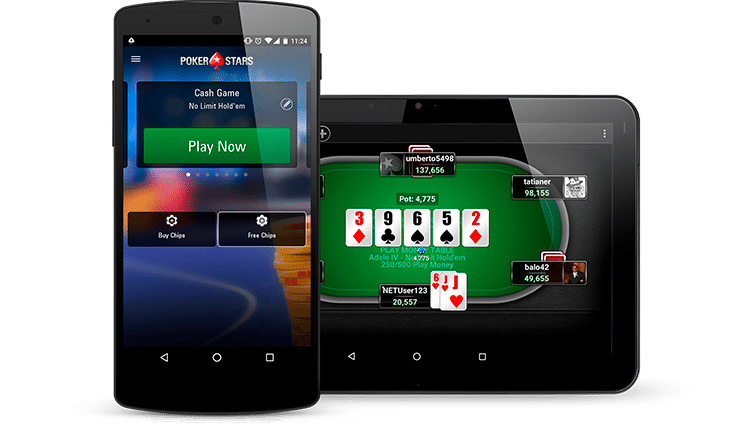 If you are excited that PokerStars arrived in India, then read our PokerStars India review below and learn what you can expect from it! We’ll tell you all about the games you can play, numerous promotions, payment methods, and so much more. To get a good sense of this online poker site, check out our comprehensive table just below with ratings of different aspects! The best way to start our PokerStars India review is to talk about the welcome bonuses. This poker site has two welcome bonuses, called ₹1,500 Free Play and 100% First Welcome Bonus. In order to get this welcome bonus, you need to deposit at least ₹500 when you make your first deposit as a newly registered player. However, you will get only ₹480 in cash bonus and the rest ₹1020 will be in Spin and Go tickets. The second bonus will give you 100% in prizes of up to ₹30,000. In order to claim it, you need to earn redemption points. You earn 1 point for every ₹1 you spend. Every time you earn 450 points, you will get ₹150 back in cash. In this PokerStars India review, we’ll also tell you all you need to know about the games markets and tournaments at this poker site. This is not the most popular poker site in the world for no reason. The offer when it comes to poker games and tournaments is really good. Poker variants include Texas Hold’em, Omaha, 8 Game Mix, Five Card Draw, Badugi, HORSE, and Courchevel. You can also play fast fold poker on this poker site, which is here called Zoom Poker. You can play as many as 300 hands in an hour and switch the table every time you get a bad hand. The tournaments include Spin and Go, Bounty Builders, The Hot Turbos, The Daily Bigs, and Knockout Poker Tournaments, so you can play something every day. Let’s proceed with our PokerStars India review and learn more about other promos on this poker site. The welcome offer is decent but it is not the only bonus you should be looking forward to. PokerStars India offers four tournament tickets to its players every week, which is 16 tickets per month. The minimum deposit amount, depending on the tournament, is between ₹1500 and ₹20,000. You also have the chance to qualify for the Global Poker League India for free on this website and get the chance to play with Poker celebrities from India! There are also high-prize tournaments available every day, including even 5 tournaments on Sunday, so definitely check them out for some big winnings. In order to play on this poker site, you should first download their software, which you can easily do from their website. Alternately, you can play on the website, using their online software. It is supported on any browser, so you should not have any issue loading it. The software is really easy to use, as the interface is intuitive and well-organized. Each poker game and each tournament have their own section, so they are only a click away at all times. 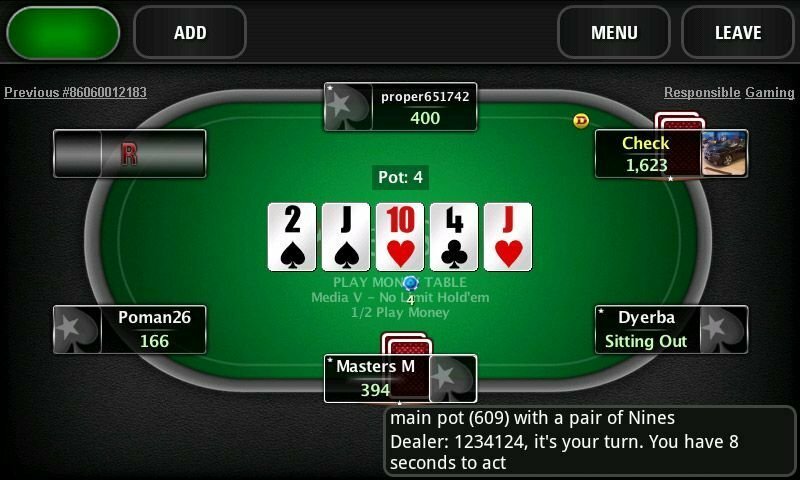 When making this PokerStars India review, we had no problems using it. If you prefer playing on the go, you can also download a native app for both iOS and Android. It works fine on all mobile devices and all screen sizes. All of the features available on the main website and the main software are also available on the app, so you will not be at a loss. This isn’t such a good solution, compared to some other PokerStars websites which have up to a dozen different payment options. There are no e-wallets supported, which is kind of a let-down. In addition to these three options, you can also use direct bank transfers for withdrawals, but we recommend the CashFree option. The only way to contact the PokerStars India customer support team is through their Contact Support Form. This is far from being up to par with other poker sites out there. There is no live chat feature, no phone number, and no email address provided to get in touch with the officials. However, the FAQ section on the website is pretty decent and informative, so it is likely that you will find most of the answers there. Our in-depth PokerStars India review led us to conclude that it deserves 4/5 stars and we were even debating on giving it a 3-star rating. This is because of the poor customer support service and the lack of payment options. However, if you can get past that, the offer of poker games and poker tournaments is pretty decent, so you can have lots of fun playing. If you are a new player, don’t forget that you can claim one of the PokerStars India welcome bonuses. Either choose the ₹1,500 Free Play or the 100% First Welcome Bonus. To get the most out of PokerStars India, make sure to register using the PokerStars India bonus code!